Apple has been rather busy in the software department of late, and where we’re used to seeing one major iOS update at around this point every year, the Cupertino company is already working on iOS 8.3 download, iOS 8.4, and as per a number of reports, iOS 9. The former is, naturally the next in line, and although its major talking point is the Apple Watch support, there are a number of other alterations besides. 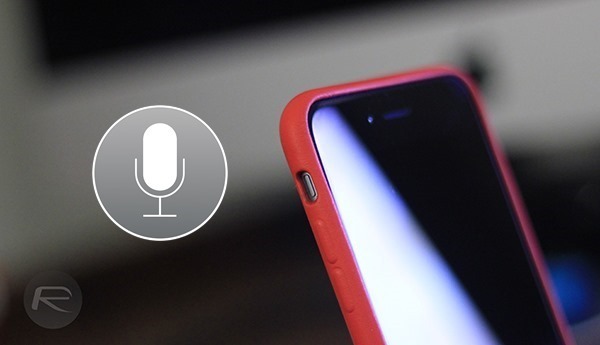 As per a new report, Siri will also be getting a little attention as well, and below, we take a look at just how the voice assistant will improve once iOS 8.3 finally emerges. First introduced with iOS 5, Siri generated quite a bit of hype when it landed, although for a year or so thereafter, the novelty wore off somewhat and Siri cut a rather format figure. From iOS 6 through to now, though, Siri has unquestionably shaken off the lingering notion that it was just a gimmick, and Microsoft’s introduction of Cortana – the software giant’s very own Siri / Google Now incarnate – has added a nice element of competition to proceedings. Now, as per an article over at 9to5Mac, it seems that the impending iOS 8.3 software release includes one or two new touch-ups. Siri is famed for sounding like a bit of a drone, and for the purpose of the many humor videos found on YouTube and similar sites, it’s great. But now, Apple is looking to make Siri sound a tad more natural, and as you’ll see in the clip below, certain words and phrases will sound considerably better when uttered. Precisely when iOS 8.3 will grace our iPhone, iPad and iPod touch devices is unknown, and since Apple has a fairly packed schedule these next few months, it could well be subject to delays. The last we heard, it was being touted for a March roll-out, and with Apple Watch itself likely to arrive in April, it will need to be ready by the end of next month. Whether there’ll be other tweaks headed to Siri is a matter of speculation, but for the time being, we’re looking forward to conversing with a more personified drone looking ahead. Check the video, and as ever, leave your thoughts and comments below. Doesn’t sound like much of an improvement really. Siri now sounds like Pakistani monkey boy. How can it be 8.3 next when 8.2 hasn’t’the been released. Dafaq? This is no new voice. It’s just the same old voice siri had in it’s beta stage. This whole article is useless.